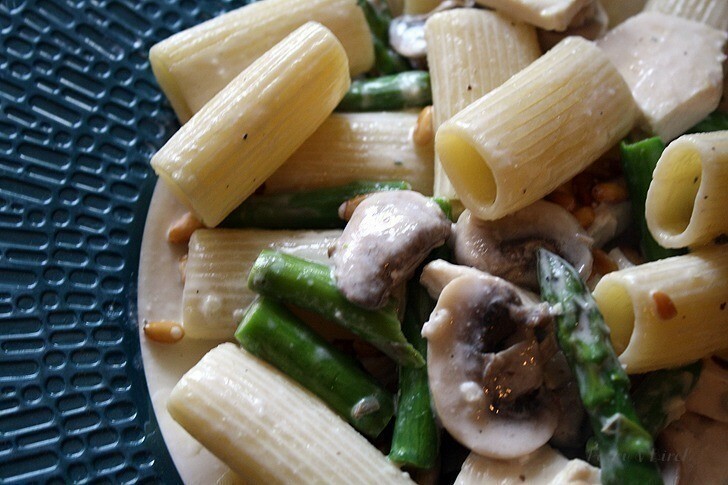 A recipe for chicken rigatoni gorgonzola with pine nuts, asparagus and mushrooms. Move a rack in your oven to the second from the top spot. Preheat your oven to 350 degrees. Cover a cookie sheet/baking sheet with tin foil and spread the pine nuts evenly over the foil. Dry roast for 10 minutes and remove from oven. Transfer to a large bowl and set aside. Heat olive oil in a large skillet over medium heat. Add mushrooms, asparagus and garlic and saute about 5 minutes. 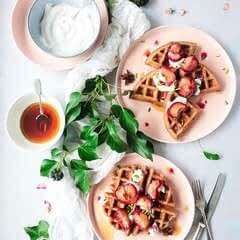 If you are making a half portion of this recipe, saute for less time. Transfer to the same bowl as the roasted pine nuts. Add the white wine to the now empty skillet. Simmer until reduced by half, about 2 minutes. Add the the cream and the cheese to the skillet. Simmer until the sauce has thickened – 5-7 minutes. 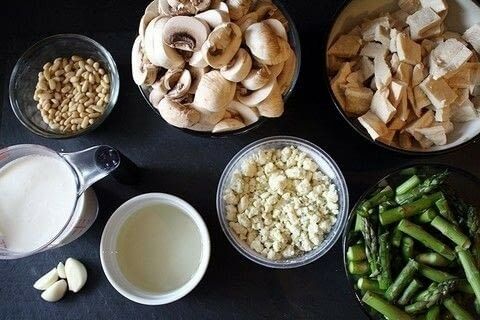 Combine the pine nuts, mushrooms, asparagus, chicken and sauce in a large bowl and toss. Add salt and pepper to taste.